Step-by-step guide on how to clone PS3 or PS4 hard drive to new larger hard drive or SSD for PS3 HDD upgrade. You can easily enlarge your Sony console's storage. Why clone PS3 hard drive? The PlayStation 3 (PS3) or its successor - PS4, aside from being a video game console, is also a pretty powerful media center which is developed by Sony Computer Entertainment. It has been several years since PS3 was released at the end of 2006. On the one hand, most models of Sony’s console come with small hard drive. On the other hand, with along huge game like Mass Effect 2 installs and HD movie downloads, you're probably already running out of space on your PS4 or PS3 hard drive. And if not, you will be soon. Nowadays hard drives have come down in price significantly, so a huge drive is pretty affordable. Why not buy a new larger yet faster hard drive to upgrade PS3 HDD. Besides, if you have more budgets, you can replace PS3 hard drive with an SSD which gives you significant improvements in load times. No matter HDD or SSD to buy, you need to know what hard drive you can use in PS3. The PlayStation 3 is designed to run with 2.5-inch SATA drive of 9.5mm height. How to clone PS3 hard drive to new hard drive? 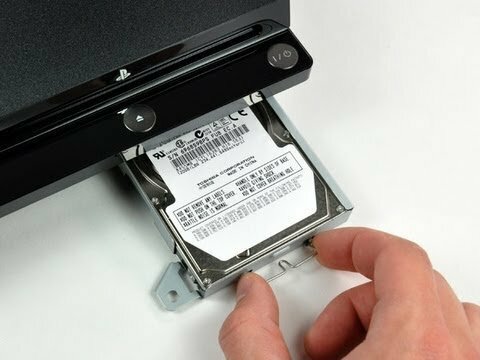 The steps to clone PS3 HDD are far easier than you might imagine. I will guide you go through the process step-by-step. Pull out your old small hard drive from your PS3 or PS4 and use screwdriver to free up the frame that holds the hard drive. And then connect it to the spare port in your computer and make sure it can be recognized by Windows. Connect your new larger hard drive or SSD to another spare port in the same computer and also make sure it can be recognized by Windows. If there is no spare port in your computer or it’s a laptop, you also can put it in an external HDD enclosure. Usually, a new hard drive needs to be initialized, partitioned and formatted as NTFS by default before it can be used. However, PS3 or PS4 can only read partitions formatted with FAT32 file system instead of NTFS. Meanwhile, the built-in Disk Management cannot format a hard drive larger than 32GB to FAT32. Luckily, you can use free partition manager like AOMEI Partition Assistant to convert NTFS to FAT32 without data loss or reformat NTFS to FAT32. Download AOMEI Backupper Standard, which is a free backup, restore and clone software and fully supports all Windows PC operating systems, including Windows 10, Windows 8.1/8, Windows 7, Vista and XP (all editions, 32/64-bit). When all have been prepared, you can begin to clone PS3 hard drive to new hard drive or SSD. Step 1: Install and launch AOMEI Backupper. Select "Disk Clone" under "Clone" tab as show below. Step 2: Select the old hard drive as source disk (here is Disk1), and then click "Next" to continue. 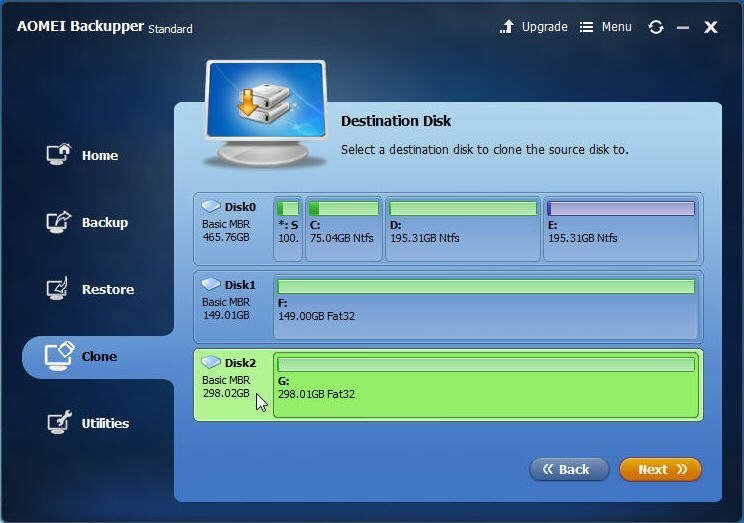 Step 3: Select the new hard drive or SSD as destination disk (here is Disk2), and then click "Next" to continue. Step 4: You are almost done. On the operation summary window, there are three options available to choose. At last, click "Start Clone". 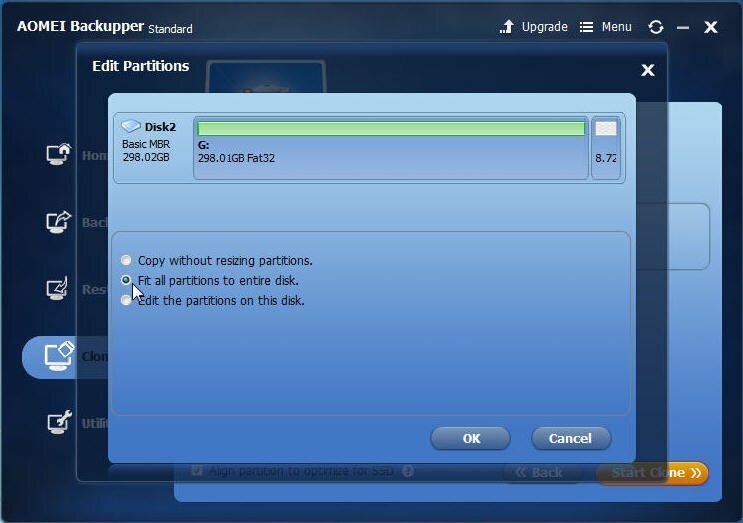 Edit partitions on the destination disk: this option is very useful to clone PS3 hard drive to larger drive. Because you can resize partition. To make full use of all disk space on the new HDD automatically, please choose "Fit all partitions to entire disk." Sector-by-sector clone: allow you to clone all the sectors of the source disk to a new destination hard drive no matter whether it is used or not. The deleted, lost files or inaccessible data only can be cloned with this option ticked. However, with sector-by-sector clone the program cannot resize partition. But you can manually add unallocated space with AOMEI Partition Assistant after cloning is completed. If not, PS3 or PS4 cannot recognize the new size of the new hard drive, and the free space remains the same as the old hard drive. 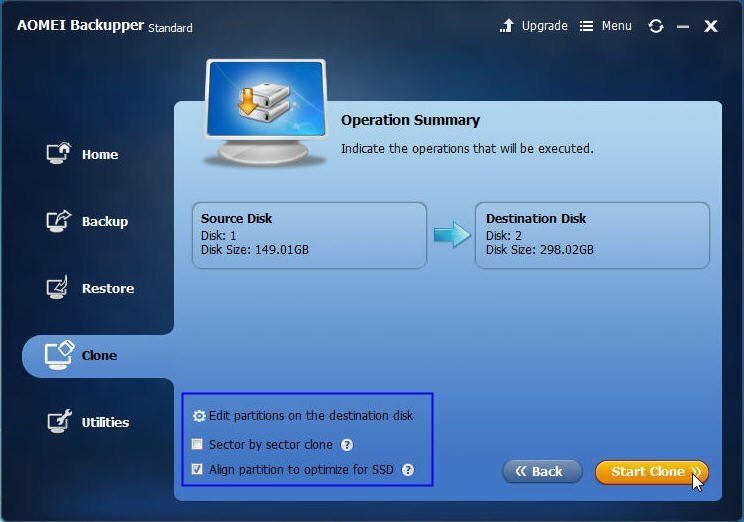 Align partition to optimize for SSD: if the destination disk is an SSD, you can tick this option for peak performance. The PS3 HDD cloning time depends on how much data is on the old hard drive. When the process is completed, you can put the new hard drive or SSD into PS3 by reversing the process you did on old hard drive. 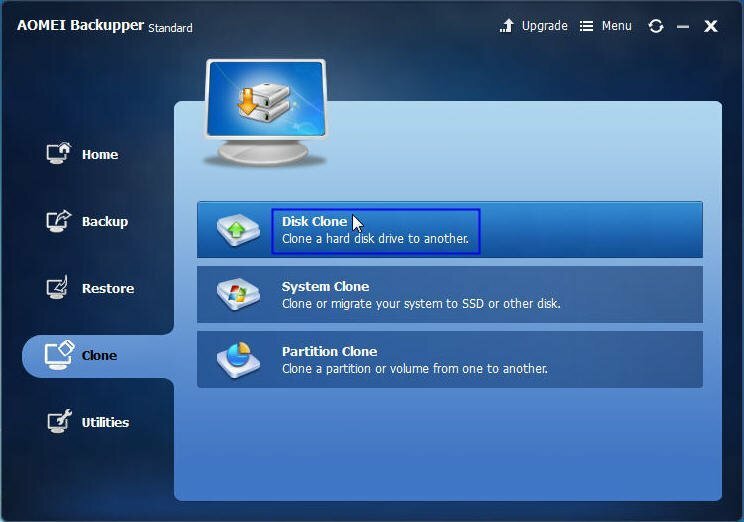 Cloning doesn’t delete the data on your old hard drive, and you can keep it as backup or manually delete data on it for other usage. AOMEI Backupper Standard also enables you to perform system backup, disk backup, file backup, system clone and more.